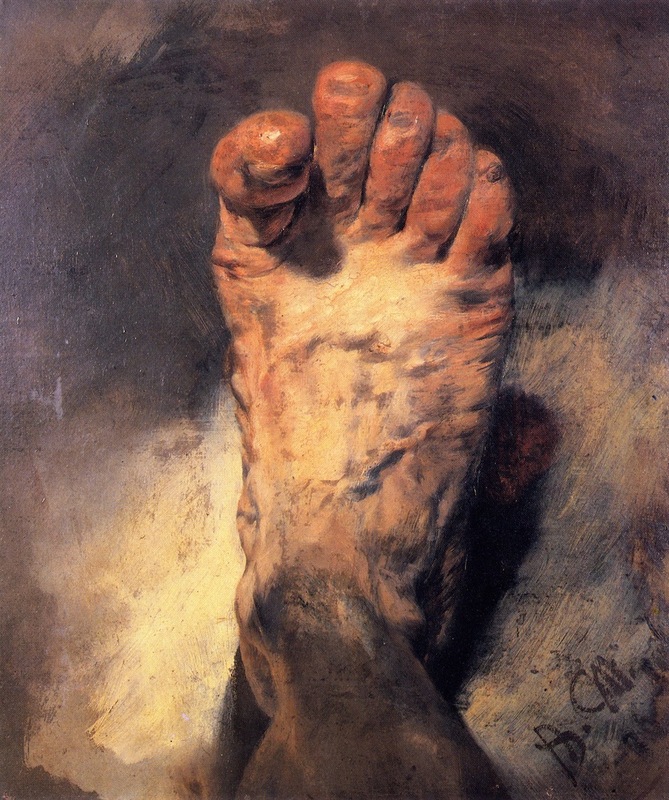 The Artist’s foot (1876) belongs to Adolph Friedrich Erdmann von Menzel. He was seventy-one at the time, and probably the most popular German painter living. In portraying his own foot he is claiming to the artist’s unlimited power of choice. He has also left us a few portraits of his right hand (being left-handed). 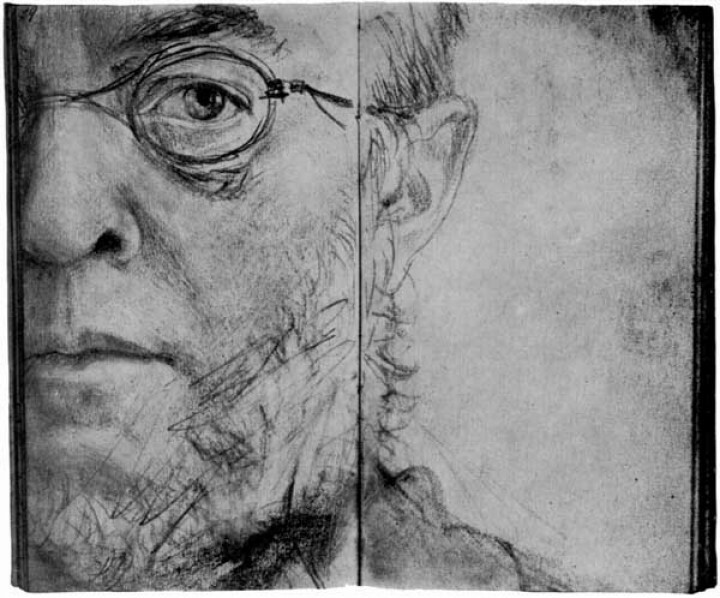 The self-portrait below, from von Menzel’s sketch-book of the same year, is as unusual in the way the composition is framed. It’s there for you. Enjoy. Wonderful, you have rewarded me with many visits from your page. Doing business with you is a pleasure. In Menzel’s painting “The Artist’s Hand” in Berlin (1864) the object is not an ice cube but a paint pot. Sorry.